Manuel Margot launched a three-run homer that broke a 3-3 tie in bottom of the third, opening the floodgates as the Salem Red Sox pounded Pelicans pitching for a season-high 21 hits in a 17-9 triumph on Saturday night. A sellout crowd of 6,490 witnessed Salem’s seventh consecutive win, which brought the Sox to within two games of first-place Myrtle Beach in the second-half race. Every Red Sox hitter had a hit and scored a run, with seven of the nine starters registering multi-hit performances. Margot, in his second Carolina League game, went 3-for-5 with a homer and four RBI, while Jantzen Witte snapped an 0-for-20 skid with four hits in a row, including a solo blast in the fourth. Matty Johnson and Leonel Escobar also enjoyed three-hit, two-RBI nights, as the Sox offense collected more hits than any other Salem squad since a 23-hit outburst in August of 2005. Two huge innings set the Sox apart, with Salem plating five runs in the third and eight more in the sixth. Margot and Kendrick Perkins crushed back-to-back homers in the third, while the Sox saw eight straight batters reach base with two outs in the sixth, scoring seven of the eight runs with two away. Myrtle Beach actually jumped out to leads of 1-0 and 3-2, with newcomer Ryan Cordell going 4-for-5 with four RBI in his Carolina League debut. But Sox starter Jacob Dahlstrand settled in enough to hold the Pelicans scoreless in the third, fourth, and fifth innings, earning the win with five and a third innings on the hill. Dahlstrand yielded five runs (three earned) on nine hits, improving to 3-0 in three Carolina League starts. Eight of Salem’s 21 hits went for extra bases, with five doubles and three home runs. Johnson went without a hit until the sixth, but still finished 3-for-5 to extend his hitting streak to 16 consecutive games. Pelicans righty Ryan Bores suffered the loss, falling to 0-4 as he was hammered for 10 runs on 13 hits in five innings. 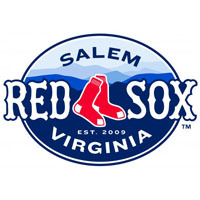 Salem even scored against Myrtle reliever Josh McElwee, who had not allowed a run in 19.2 innings for the season, when he gave up a run in the eighth inning on Carlos Asuaje’s RBI single. Salem will look to sweep Myrtle Beach in the three-game weekend series in Sunday’s finale, a 4:05 matinee at LewisGale Field. Kyle Kraus is expected to make the spot start for the Sox, while Chad James will take the mound for the Pelicans.